Filmmaker Colette McWilliams and her team were granted exclusive access throughout the 6 weeks between the choir's first meeting and performing their headlining show for the International Human Beatbox Convention. The film follows the highs and the lows as Shlomo, the Swingle Singers, MC Zani, Bellatrix, and Spitf'ya break new ground to create a whole new performance sound - it's THE BEATBOX CHOIR! This film was independently produced in London and has previously only been shown at film festivals, including the OS International Film Festival where it was awarded Best Documentary, and at the D Reel International Film Festival, Australia where it was included in the official selection. 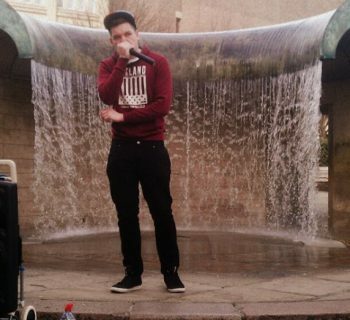 Beatboxing has been on the rise in the UK over the last five years as fans marvel over the inhuman sounds that these underground stars can make. In The Beatbox choir, we follow Shlomo, British beatbox pioneer and South bank artist in residence, as he takes four of the UK's top beatboxers alongside Grammy award-winning acapella group The Swingle Singers, and gives them six weeks to turn themselves into the UK's first full-scale human Beatboxing choir. Before the group had even met they had major festival interest and had been advertised as the headline act for The International Beatbox Convention 2007. Shlomo and the Vocal Orchestra have six weeks to create a choir that has to follow acts such as Beardyman (2x UK Beatbox Champion) and Roxorloops (Belgian Beatbox Champion) to a sit-down concert hall full of beatbox fans. 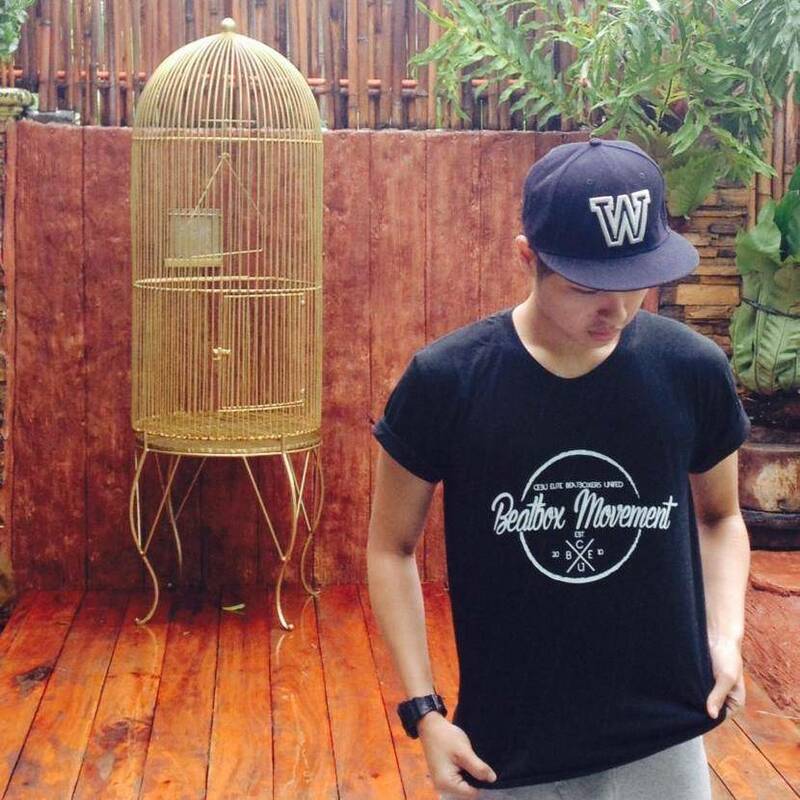 Sold out just days after the tickets went on sale and promoted internationally, the crowd's expectations are high. As Shlomo aptly said in his first introduction to the choir: "I have no idea what we're gonna do, but we've got to do something." This inspirational story tells of friendships forged from diverse backgrounds, conflicting musical genres, and clashing cultures, with the creation of the choir comes to the creation of musical family. From the first day the group meet until their first public performance at the convention, week-by-week we see the creative journey of Shlomo and the Vocal Orchestra. Lead through experimental voice-coaching techniques, we watch the group step out of their comfort zones as they perform in ways they never knew they could. 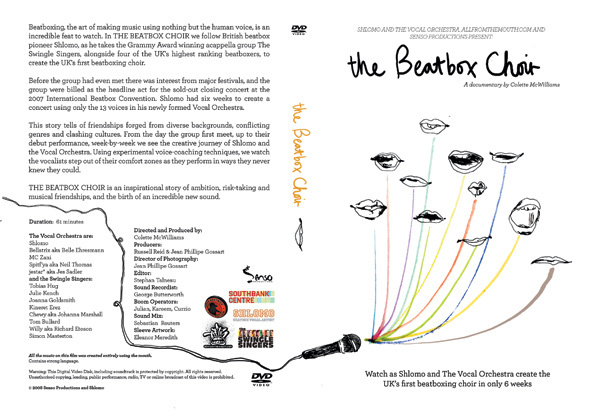 The Beatbox Choir is an inspirational story of ambition, risk-taking and brand new sounds.